Wow! 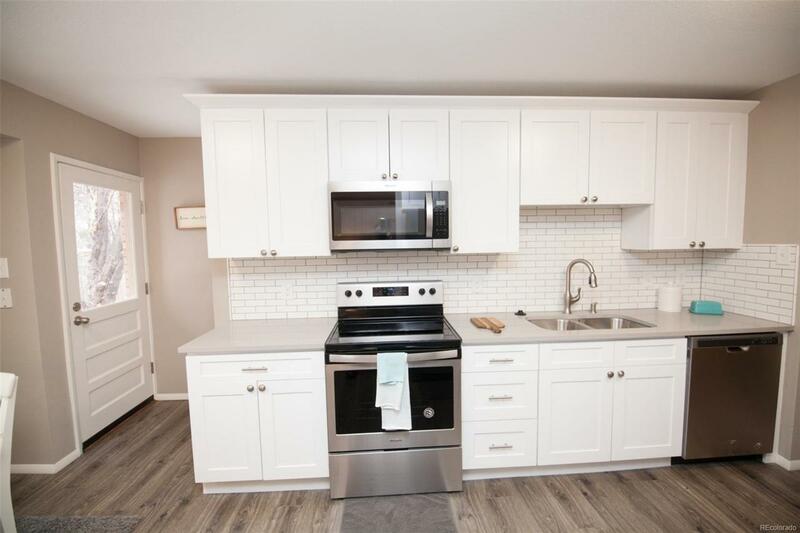 Check out this remodeled Ranch Style home with tons of updates throughout! Step inside and find all new flooring and interior paint! Straight ahead youll find the heart of it all, the kitchen! This kitchen is bright, fresh and stylish! All new cabinets, new quartz countertops, new subway tile backsplash, and all new s/s appliances! Plenty of space for eat-in dining, with a large window that lets in tons of natural light! A nice sized family room is adjacent, with all new plush carpet, and fresh interior paint! The main level master bedroom has plenty of space with the hall bathroom (also remodeled!) next to it. The basement is finished and provides more entertaining and living space. The large family room will be a great space to curl up & watch a movie! 3rd bedroom located on this level as well as an updated bathroom and separate laundry room! Nice sized backyard, with tons of options for spring planting, & summer entertaining! Great location, near stores, parks, etc.! Offered by Buy-Out Company Realty, Llc.